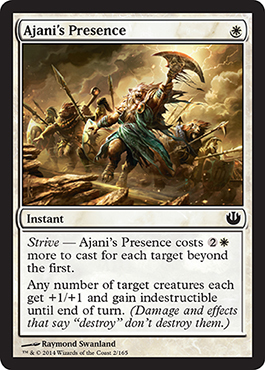 Our other new mechanic, Strive, allows for multiple targets with a particular cost for each target beyond the first. The mana cost represents the first target and the cost presented beside Strive is how much each target after the first will cost. As a note, you must pay the cost all at once and name your targets (no repeats) at one time. You can't wait and see if it is countered before adding more targets. All at once, just like when you declare attacks. Oh, this is needed. Would I want to see this played? No. However, it is something that fills a vacuum in Standard. 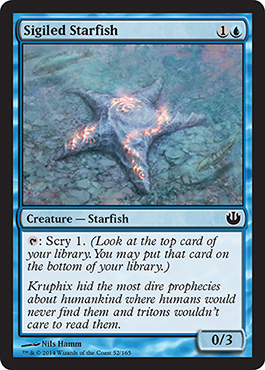 There are plenty of enchantment destruction or removal, and there is always creature remove/destruction, but now we have a specific spell to target just nonenchantment creatures. And the art? That's Atheros, Erebos, and Pharika from left to right. 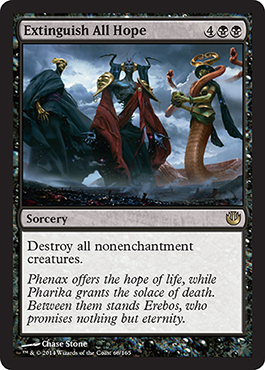 Reminds me a bit of the Archetype cycle from Born of the Gods, except with a higher mana cost and an increased power and toughness. 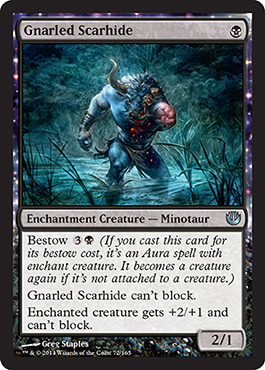 Just like in the last two sets, Bestow is back. 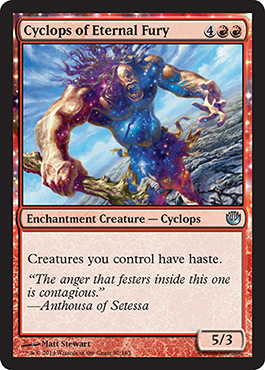 Gnarled Scarhide is a strictly better Tormented Hero (mainly because of the bestow and it doesn't enter tapped) however, it can't block, just like any unleashed Rakdos spell. We also get to see Heroic again. 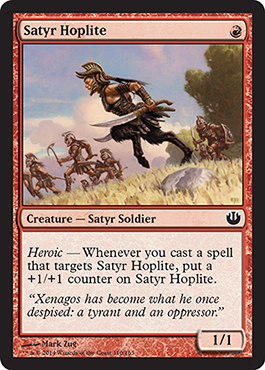 And Hoplites. The previous ones all had the subtype "Human Soldier" and only two of the previous three got +1/+1 counters when targeted. It's nice to see these again. Returning as well is scry. A 0/3 wall for 2 with "Tap: Scry 1." Not bad. 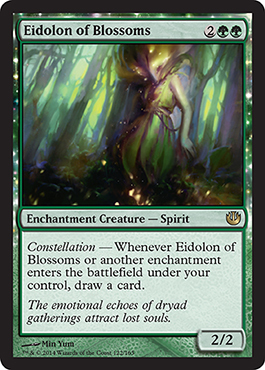 Play it, on opponents turn you can block and in response to blocking scry, or scry after no attacks were made. I like it. Monstrosity is back as well. 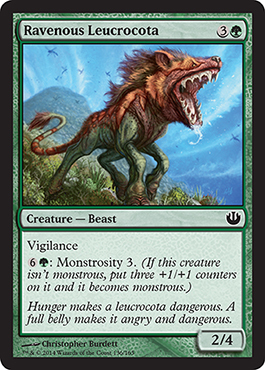 4 mana for a 2/4 with Vigilance is not too bad, but 7 mana for Monstrosity 3 is a tough thing to sell. Maybe not in Standard, but it is possibly a limited card that could work well. A Spear of Heliod without the destruction ability. And with color bias. 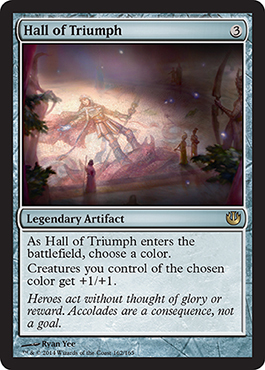 This, of course, fits in your mono-colored decks. 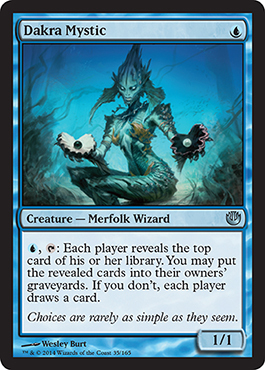 With the ability of having only one on the field, you choose the one color your deck is (or the creatures are) and go from there. 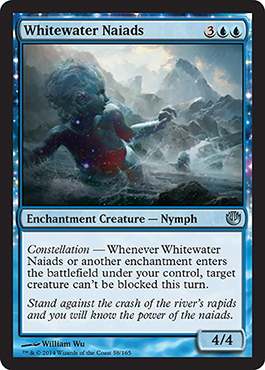 Built most likely for White Weenies but Mono Blue devotion could definitely utilize this card (for the elemental tokens).